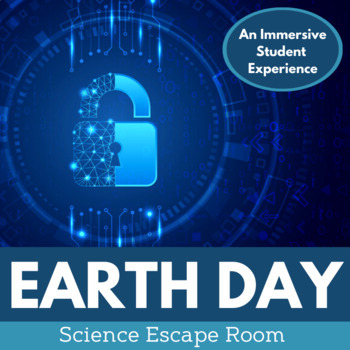 The Earth Day escape room is an immersive experience for your middle school students. 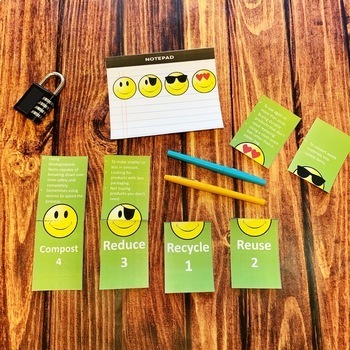 It allows them to learn about Earth Day concepts, such as recycling, reducing, reusing, and composting, in a fun and engaging way. This one is perfect to do on Earth Day, April 22nd. 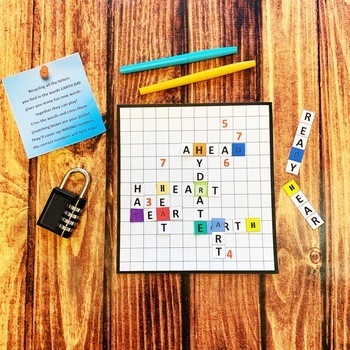 Unlike many escape rooms, the teacher is in total control on which of the 8 puzzles they want to use and in which order to use them. Each puzzle is independent of the others. This is great for shorter or longer class periods. The local Gardening Foundation volunteers are very excited for their big Earth Day event. They have trees, flowers, and shrubs they were planning to plant in a local park. Unfortunately, the head of the organization was called away on emergency business. She left a well-hidden key to the trailer with all the plants so that no one would get unauthorized access. Sadly, that means the volunteers also can’t get to the plants. Never fear! Before she left, she left a series of clues to reveal the location of the key. Only a true Earth Day enthusiast will be able to solve these clues and help gain access to the plants for Earth Day. Can you help? Watch the video preview above. The escape room can be run in several different ways. The cheapest and easiest method is to use manila envelopes for the puzzles (all directions provided). What's Included in the Product? Your students will be talking about this one for weeks.